Scotland Women came off second best on the scoreboard to a muscular French pack but there was much to admire in their efforts, writes Rhona Sweeting. Glasgow and Edinburgh play their second pre-season friendlies this weekend, and two of our ladies are off to France. Hollie Davidson will provide some Scottish representation as she has been named as one of the officials for the upcoming Women’s Rugby World Cup. Big news for Scottish women’s rugby this week as Jade Konkel makes moves in France and Hollie Davidson becomes our first contracted female ref. Scotland’s Women faced world champions England Women at Broadwood last Friday night, but the World Cup winners were too strong for the Scotland side. Iona St Joseph reports. 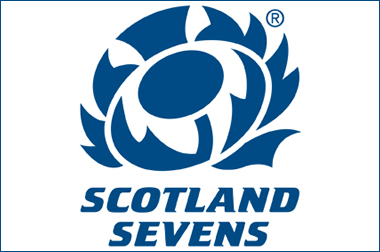 Scotland Women 7s won four out of their five FIRA qualifier matches in Ghent this weekend to come Cup runners-up and book a berth to the Women’s Rugby World Cup qualifying tournament in Moscow later this month. After a solid first outing at the Amsterdam 7s last weekend, where they registered wins over South Africa, Wales and Germany, Scotland Women 7s – playing as Scotland Select – will compete at Rugby Rocks in London tomorrow (26 May). The action over Calcutta Cup weekend is not restricted to Murrayfield.